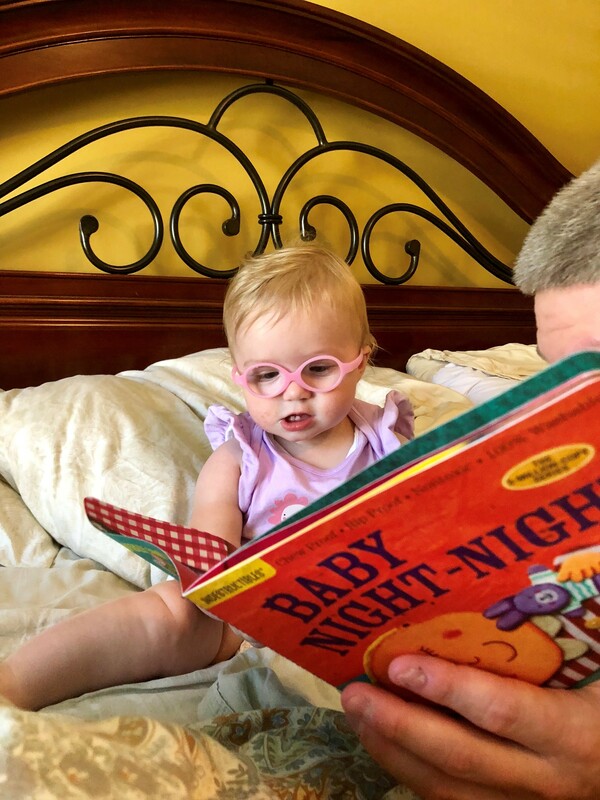 WEST VIRGINIA -- One-year-old Zoe Bolton couldn't hide her excitement about being able to see clearly for the first time. 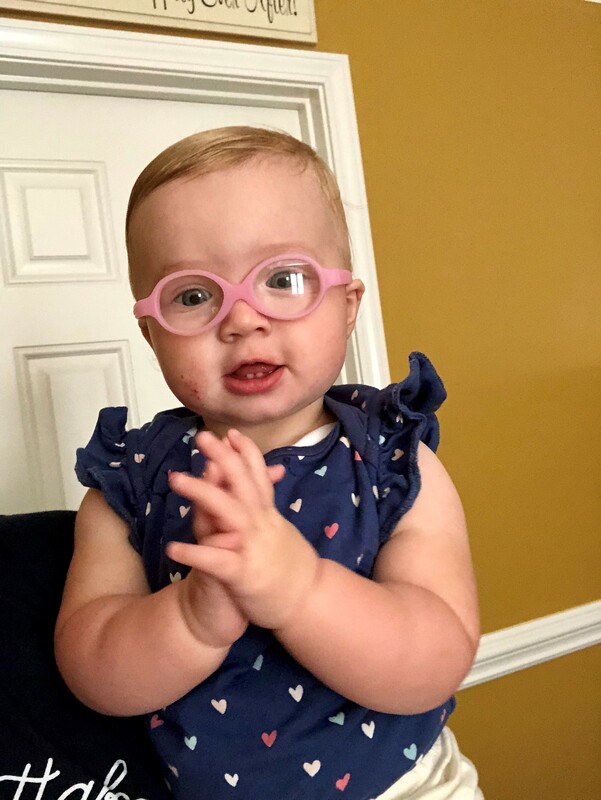 The baby girl from West Virginia squealed with delight when she tried on her first pair of glasses. Once her mother Aimee knew how severe her daughter's prescription was, she knew that they might want to capture video of this special moment. The whole family, including dad Jeff and big brothers Gavin and Hudson, crowded around as their aunt recorded the moment Zoe tried her glasses on. Zoe seemed to marvel at seeing her family members' faces for the first time with her glasses on and just being able to take in the world around her. "It was a very emotional and bittersweet thing to experience," Aimee said. "I also found it quite humbling. I'm humbled to live in such a wonderful country where I can get my children the help they need." 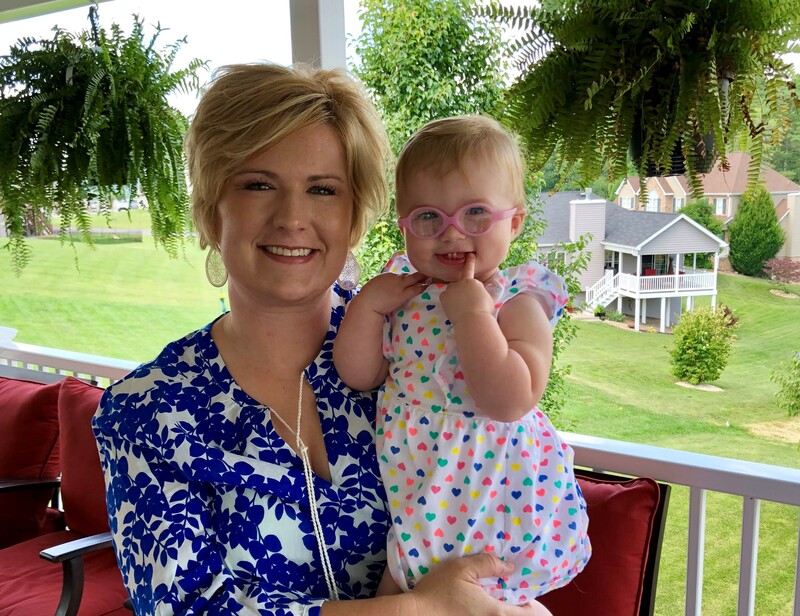 Aimee said that she didn't realize Zoe had poor vision, as she had passed all of her initial newborn screenings. But mom noticed that at times, one of Zoe's eyes seemed to drift a bit. "She, of course, never did it at any of her well visits," she said. "It continued to get worse and worse, though, so one day I sent my pediatrician several pictures of her. She said, 'Oh my goodness, we need to get her in to a pediatric ophthalmologist.'" The ophthalmologist confirmed that her eye was turned and the other was beginning to turn as well. Zoe was also diagnosed as being farsighted, and the glasses should help strengthen her eye muscles. Aimee was shocked to see that her daughter's prescription was five times stronger than her own. "I was sick," Aimee said. "I have felt so guilty that I let her go so long without seeing." Doctors say the condition is actually extremely common. Parents often miss the indications or have no way of knowing that their baby or young child is having trouble seeing. "Many eye conditions have no symptoms that can be identified by a parent or in a well-baby check-up at the pediatrician," optometrist Dr. Sarah Lechanski said. "Babies and children are not able to communicate there is a problem. Most of the time the child doesn't know there is a problem because their world is all they know. Early detection is the best way to ensure your child has healthy eyes and appropriate development of vision, now and in the future." While she did not examine Zoe, Dr. Lechanski has some general tips for parents on when a parent should seek an eye exam. 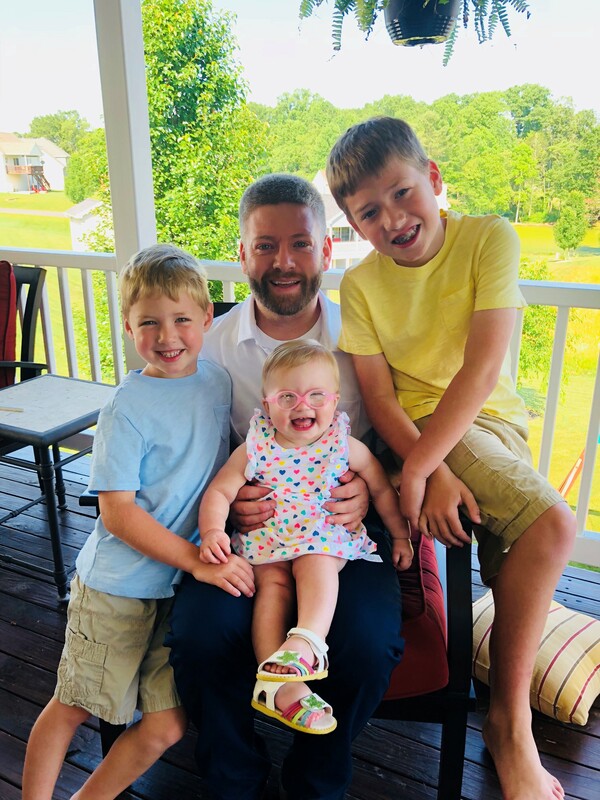 "The American Optometric Association recommends a comprehensive eye exam by an optometrist at 6 months of age, then again at 3 years old and around the age of 5 or 6," she said. "This is an exam by an eye doctor, not the pediatrician. The pediatrician does more of a screening, an eye doctor evaluates much more." Zoe's mother actually did her a great service by getting her glasses at such an early age. Now, her eyes can begin to strengthen and work together properly. "By giving glasses early, it gives each eye the ability to see equal images through both eyes, and therefore making both eyes work together," Dr. Lechanski said. "If one eye cannot see properly, the other eye will do all the work. The weaker eye isn't given a chance to see. By the time a child is able to notice a problem with their vision and tell their parents, it's usually around the age of 6 or 7." Zoe is now 13 months old and working with a physical therapist to begin crawling and walking. Dr. Lechanski says that crawling can be delayed when there is a lack of hand-eye coordination due to poor vision. Her therapists expect her to get up to speed quickly and be running around with her brothers in no time! Zoe adores her glasses and rarely tries to take them off. She loves her new view of the world.